Take your eyes off those snazzy socks for a minute and you’ll notice that his Lordship was not as well shod as you might imagine. A closer look proves that the aristocratic Alfred was clearly down on his uppers as often as the ordinary Oscar found himself. (Steady). Your sonnet is quite lovely, and it is a marvel that those red rose-leaf lips of yours should be made no less for the madness of music and song than for the madness of kissing. Your slim gilt soul walks between passion and poetry. I know Hyacinthus, whom Apollo loved so madly, was you in Greek days. Why are you alone in London, and when do you go to Salisbury? Do go there to cool your hands in the grey twilight of Gothic things, and come here whenever you like. It is a lovely place and lacks only you; but go to Salisbury first. Walking souls indeed. What a cartload of Cockney rhyming cobblers! No-one was walking anywhere, particularly between passion and poetry, in those shoes. 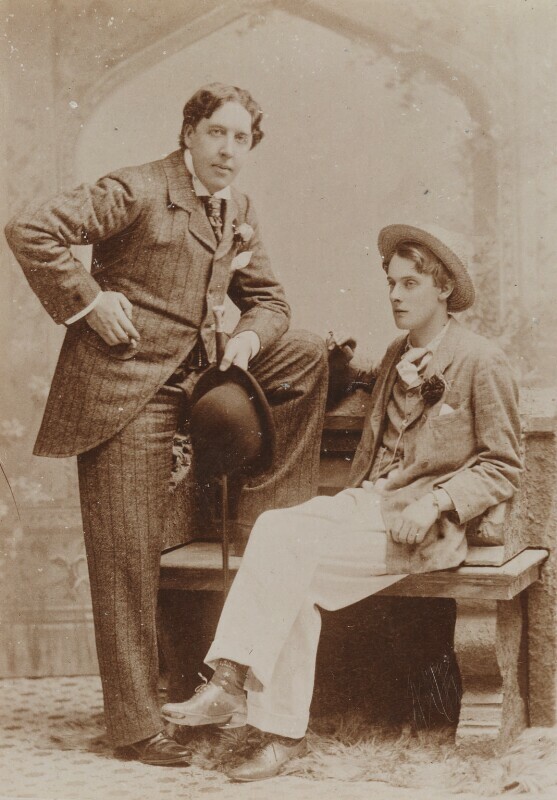 More likely is that Oscar’s subliminal inspiration was Bosie’s too-too slim sole and the reason the guilty lily was alone in London was that the well-heeled couldn’t afford to be seen with such a scruff. Clearly from a hole in his allowance period. Thanks for informative site.